I recently received a comment from reader Carol on the post, “Bastegh is the only Nanny Candy worth eating…”. 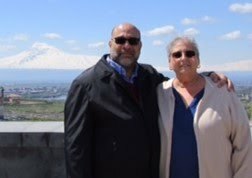 She's been looking for a recipe for Roejig, a grape juice and walnut roll, and asked for help from The Armenian Kitchen in finding one. 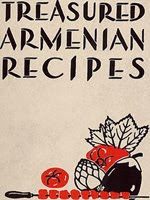 I found a ROEJIG recipe in the Treasured Armenian Recipes cookbook published by the Detroit Women’s Chapter of the AGBU (Armenian General Benevolent Union). I must warn you: this recipe takes time and plenty of patience. Roll up your sleeves, and Good Luck! Blend flour, sugar and cornstarch together, then add juice and mix well until smooth. Soak walnuts in water for ½ hour, then shell. Try to get the nuts out in complete halves. Take a strong string with a big needle to string the half nuts only. The first two half nuts should come back to back in the middle of the string. Then string the rest of the nuts in the same position as each of the first two. Tie the ends of string to a stick leaving a space of 3 inches between them in order to keep the row of nuts apart and also to hang conveniently. Nuts should be facing upwards so the thickened grape juice clings on. Cook half the amount of the grape juice until thick. Dip the strung nuts into this juice several times then hang to dry overnight. Cook the remaining juice the second day, dip the nuts several times and hang to dry overnight. Takes several days to dry well. When dry, cut any desired length and roll in powdered sugar. Cut round slices for eating. Keep in covered jars. I have two copies of that book! One with notes from my aunt, and the other was my mother's original. And curiously enough, I have some Roejig in my kitchen right now that I received over the Christmas holiday. That book is a treasure to me. WOW! 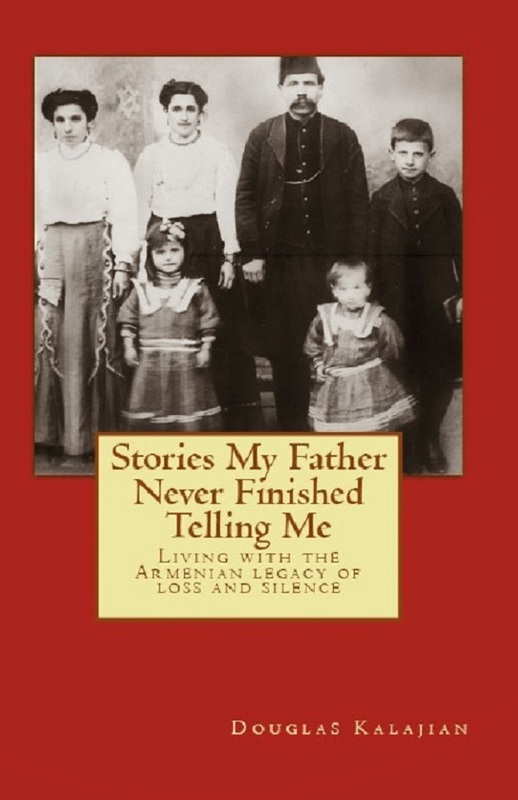 2 Treasured Armenian Cookbooks, AND roejig? You can't beat that! This is a fine basic cookbook comprised of recipes from women most of whom were born in the old country. First hand sources. please more recipes from the book!